The Gospel about the transfiguration is a familiar one. The temptation is to all too quickly limit its meaning and power. There is more to this event than a glimpse of future glory. It tells us of what we can expect along the journey toward glory. “Jesus … went up the mountain to pray.” Like us, Jesus sought communion with his God and Father. 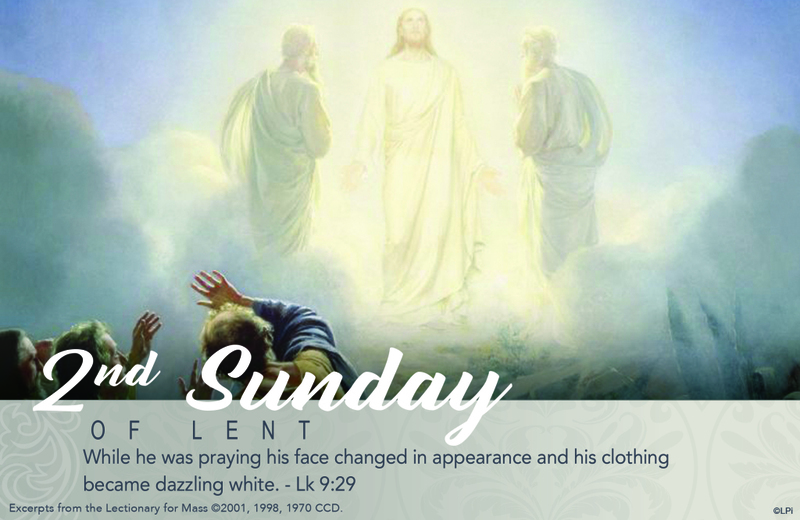 He most likely didn’t go up the mountain expecting to be transfigured, but his prayerful union with his father manifested his identity as One who shares in the Father’s glory. During prayer Jesus’ “face changed.” This phrase is biblical language indicating that Jesus himself changed. When the transfiguration takes place Jesus is already on the journey to Jerusalem. To come to the glory promised by the transfiguration, however, Jesus could not remain on the mountain, but had to continue his journey to Jerusalem and the Cross. On the mountain of transfiguration the disciples witnessed the glory of Jesus’ identity as the “chosen Son.” We, too, are destined for glory when Christ will “change our lowly body to conform with his glorified body” (second reading). During prayer we, too, encounter God is such a way that we are invited to change. We, too, are emboldened to follow our life journey and embrace the Cross. And we, too, will be glorified. Now and forever. ©2019 All Saints Roman Catholic Parish All Rights Reserved.